Some examples would help diagnose the issue. Can you post screenshots? Do the exported versions of your pictures when using this profile still exhibit the yellow cast? You can fix this! .dcp profiles are white balance agnostic and users must still apply WB. @Andrew I know I can still fix it changing the WB but if Adobe got the profile right in first instance I would save time...Canon ones are very good. What is the origin of the yellow cast, is it color rendition or the profile is also applying it's own white balance on top of color rendition and tone? With the Canon profiles I never experiences any color cast/WB shift. What are DNG camera profiles, how do they differ from ICC camera profiles. Misconceptions about DNG camera profiles. Just when, and why do you need to build custom DNG camera profiles? How to build custom DNG camera profiles using the X-rite Passport software. The role of various illuminants on camera sensors and DNG camera profiles. Dual Illuminant DNG camera profiles. Examples of usage of DNG camera profiles in Lightroom, ACR, and Iridient Developer. I mean the other profiles (Adobe Standard, Sony Camera Neutral, Vivid etc) do not have the same cast, I assume it was a mistake on Adobe side when creating the profile rather than a problem of my hardware? Don't make such assumptions. Do shoot say a color checker in daylight and provide example here AFTER WB. would love to but I don't have a color checker. Will see what I can do but other people have noted the same yellow cast using that profile. The DPR post is kind of meaningless. 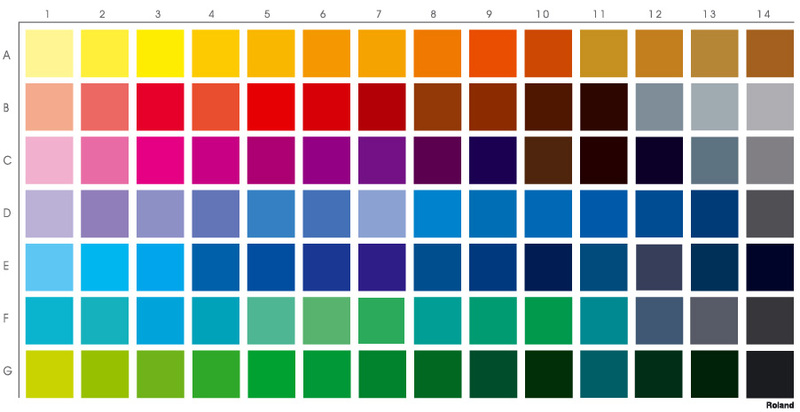 CCT values define a range (a large range) of possible colors and differing values can define the same color! You are The expert on the subject and I only have limited knowledge of color science so i struggle to follow you. All in all shall I be happy with the hardware calibration and profiling I obtained vs my targets (D65 for whitepoint) or have to do it again? There is only one object that can produce D65 (an average of many measurements) and its 93 million miles from your display. What calibration? You are working with generic .dcp profiles. For display, the values WILL vary. :-) Difficult to get a straight answer from you. I am talking about the DPR post. Shall I be happy with the results of that calibration (to D65) or not? If you can answer with a YES or NO would be great. Watch the video! If you get a visual match to (whatever) that IS the correct number! If not, the calibration target is incorrect. Simple. Going back to the main topic. Here is an example. You can see there is a yellow cast in camera Standard (eg color of the wall). Also, I was shooting in RAW + Jpg with Standard profile and in the jpg file there is no yellow cast. Differences you see between the other profiles is probably due to higher color saturation with the Camera Standard profile. Do you have LR's WB panel set to 'As Shot?' If not that's what's causing the difference you're seeing between the camera JPEG and Camera Standard raw file rendering. If it is set to 'As Shot' please post a camera JPEG and ARW file pair that exhibit the issue to Dropbox and we can see what's happening on our systems. Thank you! Comparing the DNG and JPG images on DropBox, to me it looks like all the Camera xxxx profiles have stronger yellows. This is NOT the same as saying there is a yellow color cast because neutrals still seem neutral so no overall cast where whites are yellow, but the yellows are stronger. Since the image does not have a full range of colors it is difficult to tell if it is only yellows or various other colors--do you have any market scenes with a range of vibrant colors? Thanks Steve, also had the same doubt about stronger yellows vs cast. But the issue seems with the profiles that Adobe has created. And Standard is the worst in terms of overboosting yellows. DRO should not affect color rendition of jpg, i think it affects tone curve slightly. Is there a chance that Adobe will redo these camera profiles? Will post scenes with more colors when i have a chance. DRO should not affect color rendition of jpg, i think it affects tone curve slightly. It may be of no consequence, but I suggest checking it. Does the original ARW file render the same as the DNG file? Todd, I am not sure about DRO but the manual says “By dividing the image into small areas, the product analyzes the contrast of light and shadow between the subject and the background, and creates an image with the optimal brightness and gradation.” So I would not expect to see different color saturation or rendition, but not sure. Will test it. Interesting observation on the dng. Luckily I haven’t deleted the arw files yet (I usually keep only the dng) so i can test also that. You are saying that the same camera profile will give different results in dng and arw? It's highly likely that the dynamic range optimizer setting is the culprit. color perception is generally not intensity independent (except when you work in Lab color spaces) so this sort of dynamic optimization of local contrast and brightness really will mess with the perception of the color. If you shoot raw, you generally want to keep any dynamic range option turned off on your camera regardless of the camera maker. Jao do you know if DRO affects Raw files as well? And why the same file with Adobe Standard does not show the same problem? I don’t know about this camera but on canon and Nikon the comparable option will actually slightly underexpose the raw and write a flag in the raw file to compensate for this that only the camera maker’s software understands. This then leads to muted images in Lightroom that can be fixed by dialing in a bit of exposure compensation. The reason that camera profiles might react differently might be because they are somewhat “skewed” in that the perceived hue varies throughout its brightness range in order to try to reproduce the camera jpeg engine and Adobe standard perhaps has less of that. It is known that many jpeg engines and camera profiles do this. >>The Adobe DNG converter is over-writing and/or truncating some of the Sony proprietary MakerNote fields in the DNG file. 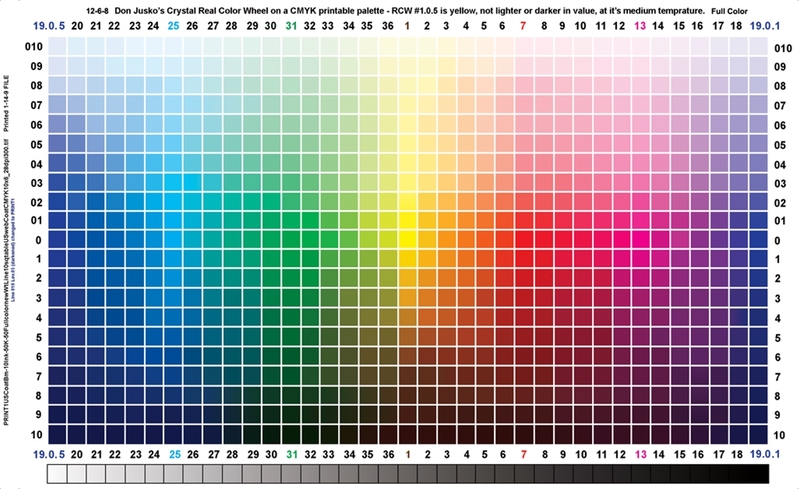 For fun, try taking a RAW+JPG photo of this color chart as displayed on your monitor, perhaps slightly out-of-focus to keep the moire patterns from the LCD dots from causing issues, and upload both the RAW+JPG so we can compare how things look with various color profiles. Keep the DRO off. I'd suggest opening them in LR and go to full-screen but zoom in or out to leave a bit of a margin of neutral gray around if you can, or black or white, to make the differences in colors more obvious and cut down on any distracting background in the photo. Turn off the room lighting to keep screen reflections to a minimum. White-balance the camera to a white screen on the monitor, first, so there isn't a cast from that. The purpose of this exercise is to see if RAW and JPG look the same over a wide range of colors. So going by exclusion, if dng and arw look the same, and dro also does not explain the difference, then it is an adobe profile problem? That would only exclude the DNG conversion and DRO as the cause. There still could be differences in other camera settings, camera defect, firmware difference that is causing the issue. Using the Imaging Resource A7R III test image files there is virtually NO difference in rendering between the camera JPEG and ARW file with Camera Standard profile. So by process of "exclusion" I can say with confidence there's something "different" with your camera settings or LR system rendering (installation, monitor profile, etc.). Click on the below image to launch it an then right-click and select 'Save Image As.' Open the saved file in LR or PS and measure any of the color patches for comparison using the Eyedropper sampling tool. The only LR settings applied to the ARW file are 'Camera Standard' profile, 'As Shot' WB, and 'Exposure' = -0.12 to match the JPEG midtone reading. Actually, the left image is more yellow in the sense that some of the pinks got stripped. Compare the left brownish color. The right one is much better color-wise. It looks more cardboard colored. 1) Here is the arw file for the castle picture. When I apply Camera Standard in LR I get the same yellow boost I get with the dng, so I think we can exclude a dng conversion issue, agreed? 2) Here are jpg and arw of a pic just taken with DRO off. When I apply Camera Standard to the raw the pic does not look bad but it is not a match to the jpg. I still see a notable yellow boost, most notable in the first floor of the building top left (eggshell paint). The pure white of the van, the red of the door and the blue of the car do not seem much affected, I don't see an overall yellow cast. Can we exclude it is a DRO issue? Not sure what conclusion to draw here. It seems to me it is a yellow saturation issue of the profile created by Adobe, do you agree? I would not say it is an issue of the camera as the jpg look fine. Yeah, thanks Cameron, let me add that I know that a camera profile will never make my RAW to exactly match the jpg....but come closer though, like we are used with Canon. First Point. Second point. The hypothesis Todd and I are making is that coming closer would be possible if only Adobe validated their Camera Standard profile against the jpg, while it looks like they tried to match the RAW+CS in Imaging Edge. Cameron, would you reply to my earlier question, just in case you missed it, thanks. "Because X-Rite's software doesn't generate the same forward matrix transforms as DNG Profile Editor or Lumariver (Which gives you the option to use ACR Matrices)"
"Thanks Cameron, meaning that DPE and Lumariver are superior?" Gents, someone senior from Adobe just "liked" my post ("Thanks, also my experience with 600D and 6D. ....") where I first hypothesised that Adobe targeted the wrong image for their profile. Looks like we are getting some attention hopefully. Would love to hear an official comment from them. Yes, the JPEG output's a desired rendering based on proprietary processing inside the camera. The raw can be rendered any way one desires within reason. I don't believe Adobe EVER guaranteed that their profiles will match the camera JPEG exactly nor should they. BTW, exactly would be within 1 or less deltaE; every pixel matches. A long time ago, in an ACR far, far away, there were no custom .dcp profiles and there was a way to 'calibrate' ACR's rendering, th﻿﻿ought up by the late and great Bruce Fraser. He took a 24 patch Macbeth and shot a raw. Then, he adjusted the numerous sliders in the Calibration tab (which exist today because thankfully, Adobe rarely removes legacy features). The adjustments were such that each of the 24 patches produced Lab values after rendering that matched the Lab values of the Macbeth. A bit later on, a script was produced to do this kind of automatically as moving each slider and inspecting the 24 patches for targeted Lab values was a huge amount of work. The results in any case were 24 patches that colorimetrically matched; capture to scene! If you had a properly calibrated display, the MacBeth looked a lot like the actual target but keep in mind, the Cyan patch falls outside sRGB gamut and that's an 'issue' on sRGB gamut like displays. But you ended up with a capture we could state IS accurate! If you shoot lots of MacBeth's, you got accurate results, within reason. The illuminant still plays a role. White balance might too. Now you turn around and shoot something totally different from that Macbeth. Was it also accurate everywhere? Not always. Because digital cameras suffer what is know as metameric failure. We can go there but the point is, some colors under some illuminants under some conditions were not close to accurate. What some of you are doing is what we see above. You're not shooting a known color reference with known values in Lab. So when you view these images, your response to them being right is highly subjective. You may feel one rendering is 'too warm' but if I view that on a display that is run 'cooler' in white balance, I may not see that. Or dislike the rendering as you did. That wouldn't be the case with the Macbeth! One can numerically see the Lab values which are published! Not at all the case with images shoot without such a reference using this tweaked profile (well tweaked calibration setup). Are Adobe's profiles perfect or close to that? No. But they try. Can they do better (we may see....). Is this mostly a subjective evaluation? So far yes. Will any profile fix the issues of metameric failure? Not at all. So we have tests without reference and we have assumptions that the results are an issue due to the profile. That's a huge leap to make. It may indeed be true but no colorimetric data has been provided that I've seen. I may have missed it. Can and should you consider making a custom profile and maybe tweaking it? I've said so too many times now. That again will not solve all the issues but it reduces some in some cases. Why are there a suite of profiles that differ? Because this is a subjective process. A scene with a prefect colorimetric match of a Macbeth in 25% of the image may look unacceptable in areas outside that 25%. Now what? >>Sony Imaging Edge and Adobe both do not match the straight out of camera JPEG rendering. Who (outside a marketing dept) guaranteed they would? To what average deltaE value? What makes the camera JPEG so correct and special? It isn't. It's one rendering. If people love the camera JPEG rendering, they should just shoot JPEG! Camera standard is supposed to approximate the out-of-camera jpeg at all standard settings on the camera (no dynamic anything). If sony’s Cameras give different rendering for jpegs than when you run the raw through their own software I would have no clue what to try to approximate if I were Adobe. I would take the raw software as the reference normally. No it just means it works differently. NO profile will fix metameric failure of a camera sensor.